Nearly fifty years ago to the day, baffled by the heavy winds and so blinded by the sun's reflection that he couldn't read the poem he'd originally prepared for the occasion, 86 year-old Robert Frost recited from memory "The Gift Outright" to mark the inauguration of John F. Kennedy as U.S. President. 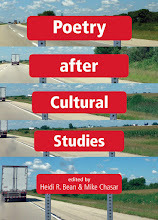 The poem and improvised performance have not only gone down in poetic history as the gold standard by which inaugural poems are measured, but sometimes one even gets the impression that Frost and Kennedy somehow invented the ritual—that inaugural poems began then and there. 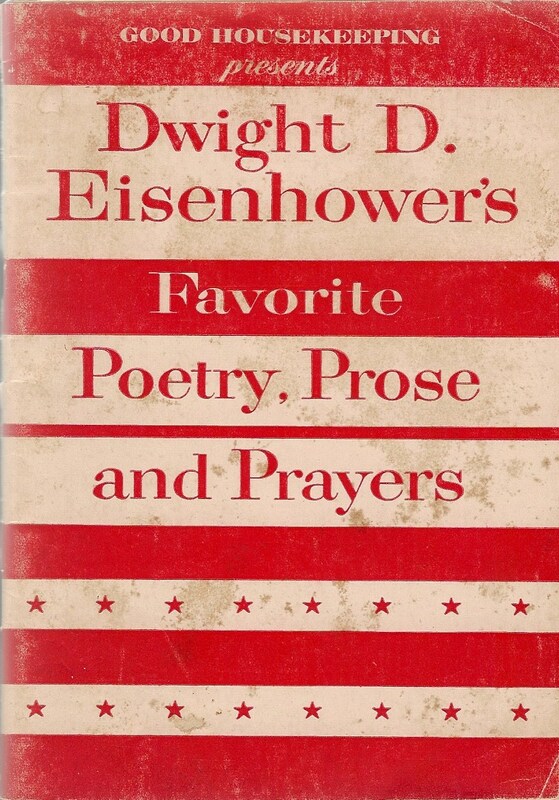 Of course, as the "Souvenir Inaugural Poem" (pictured here) from President Eisenhower's 1953 inauguration suggests, Frost and Kennedy didn't initiate the practice any more than Frost had invented the television that made the inauguration and "The Gift Outright" especially famous. People just don't remember—nor do they probably much want to remember—the poem "A Nation Prayed" which minister-turned-poet-turned-best-selling-novelist-turned-successful-screenwriter and soon-to-be controversial poet laureate of Maryland Vincent Godfrey Burns wrote in Eisenhower's honor. So who was Burns—whose papers are scattered about in collections at Syracuse, UC Santa Barbara, Columbia, University of Maryland, the Maryland Historical Society, Kent State, and the University of Vermont? He was born in Brooklyn in 1893 and studied at Penn State, Harvard and the Union Theological Seminary. After serving in France in World War I, he was ordained in 1920 as a Congregationalist minister and plied that trade in New York, New Jersey and Massachusetts before he eventually had some sort of falling out with the church that, despite his later appeals for forgiveness, was irreconcilable. He was married twice and had three kids. 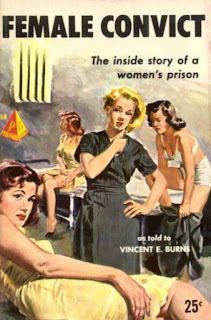 Some people suggest that Vincent couldn't recover from the celebrity status his brother's escape and autobiography attracted, and that a corresponding megalomania led to the breakup of his first marriage and caused problems with his congregation. We here at the P&PC Office don't know enough to take sides in the matter. 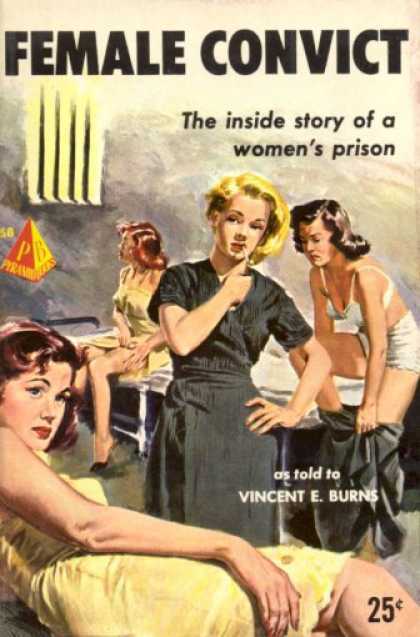 However, in the years following the film's release, Burns would go on to edit anthologies, write poetry, television scripts, plays, and novels including the racily-illustrated Female Convict which went on to sell over a million copies—and which might well have starred Lady Gaga and Beyonce had the divas been around at the time. 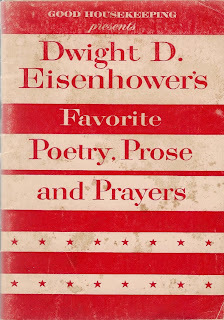 Interestingly, even though Burns wrote "A Nation Prayed" in honor of Eisenhower's inauguration, that part of his life story is almost uniformly left out of every source we consult, making us wonder whether his poem was any more official than Robert Lowell's "Inauguration Day: January 1953." 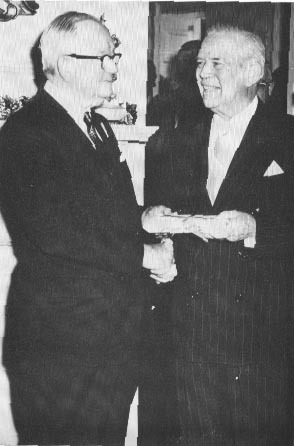 Sources on Burns concentrate, instead, on the fact that he was appointed Maryland Poet Laureate by Governor Tawes in 1962, a post he held with a fair degree of controversy until passing away in 1979. 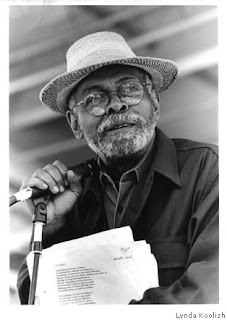 Seems that thirty years before that controversially liberal Amiri Baraka was appointed and then unappointed to the New Jersey Poet Laureate position, Burns was using Maryland's equivalent post to broadcast his own politically and religiously conservative views. A poem "Down at the Watergate," for example, reportedly took sides in depicting Nixon as the victim of a witch hunt—a not unsurprising view, perhaps, coming from a poet who, back in '53, made Eisenhower out to be a leader appointed by God and not an electorate. Burns's opponents tried to oust him from the post several times but never succeeded. Who knows. Maybe they would have been more effective if they'd lobbied for the elimination of the Poet Laureate post altogether, as the Jersey legislature did.